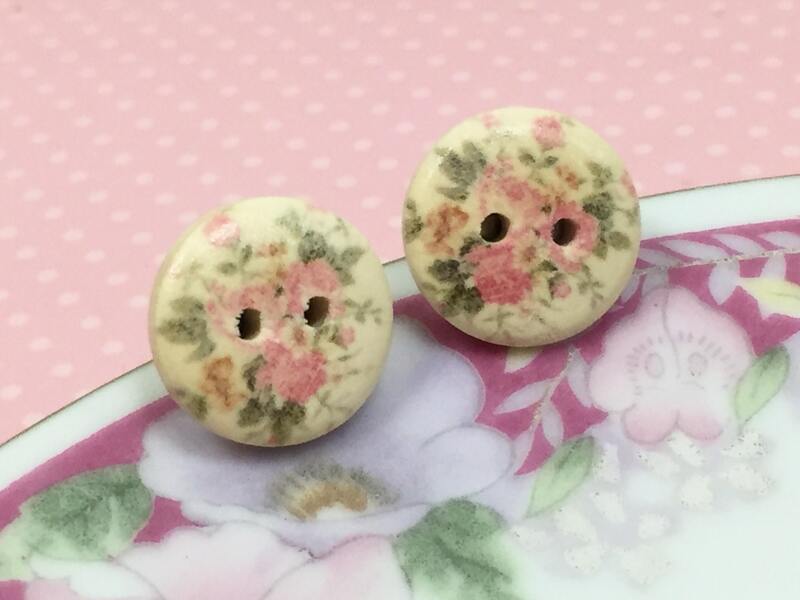 I can't imagine anything prettier to grace your lobes than these natural wood sewing button earrings with pink cottage roses on them. 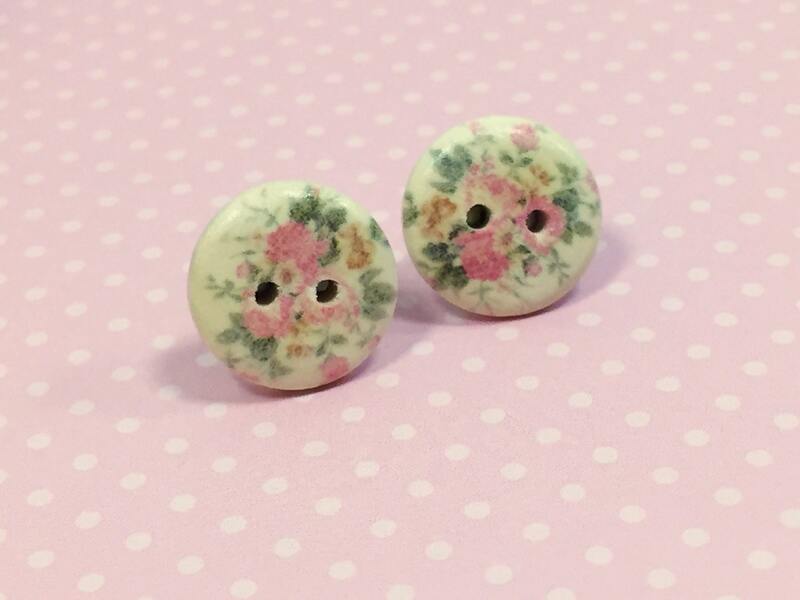 These earrings measure about 5/8 inches (15mm) in diameter and have been finished with stainless surgical steel ear studs. 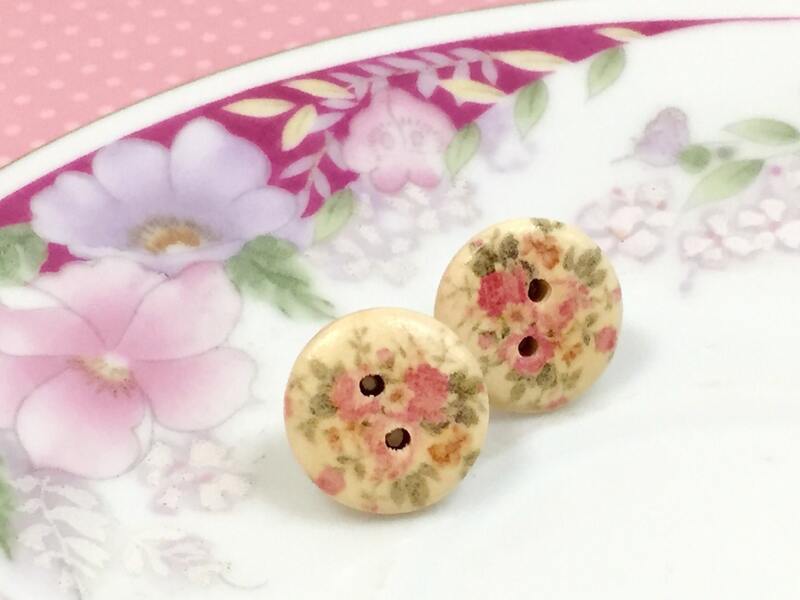 Due to the way these particular buttons are made, the prints may vary from button to button.